Jackie's Journey "What do You Mean... Double-Minded?!" teacher, author, speaker, etc… BUT the last title I want is… Double-Minded! 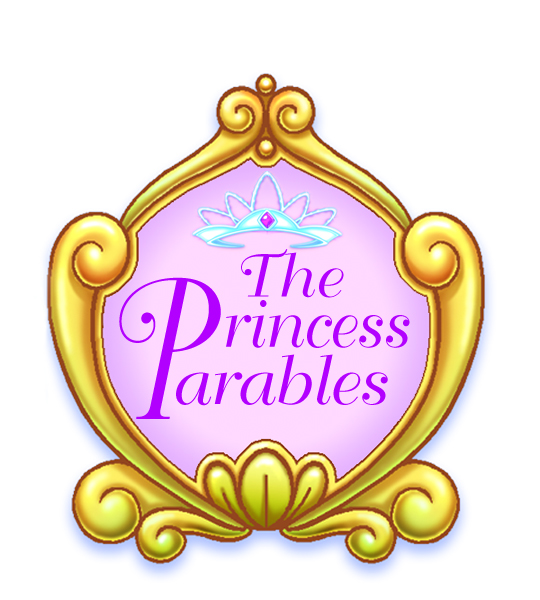 In the Princess Parable Series the story of Princess Hope comes from Matthew 13, The Hidden Treasure. She is called to “count the cost” if she is to find the REAL treasure! 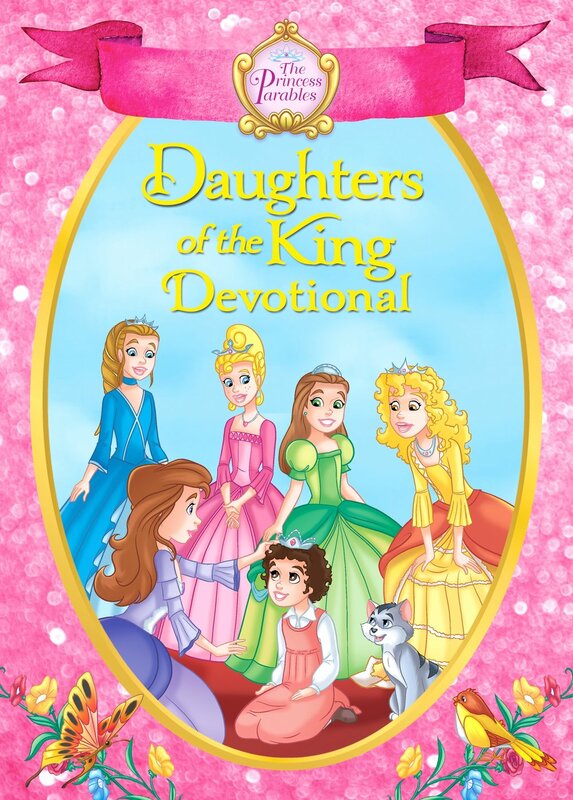 In her life lesson she learns to focus on God’s promises not the circumstances surrounding her. Her single-mindednessand loyalty to her grandmother, not to mention her determination with a lot of active creativity, become her constant companions and ultimately bring her reward and blessing. 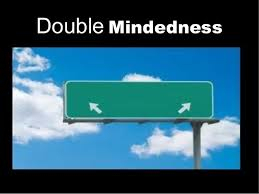 What are the undeniable marks of a double-minded person? We are to be women of principle with loyal convictions, who cannot be bought and will not compromise. Loyalty is demonstrated in times of temptation and adversity. It is the first of 4 basic needs of mankind. There is a seed of loyalty programmed into each one of us by God. · I want to be loyal, but I don’t want to be single-minded! When my life is over, will single-mindedness be my legacy? Will I be known as a loyal servant of my God? Posted on March 11, 2019 by Jacqueline Johnson and filed under Character and Virtue, motherhood, womanhood, spiritual growth and tagged Loyalty single-mindedness stable motherhood. Chapter 3 of James speaks directly to those who aspire to teach. Mothers are teachers whether they aspire to be or not! Our children look to us for direction, protection and instruction in what is right and wrong in life. They read our actions, words, and attitudes…continually. They listen to our hearts and they read our spirits! When we put bits into the mouths of horses to make them obey us, we can control the whole animal. Or let’s take ships, as an example. Although they are large and are driven by strong winds, they are steered by a very small rudder wherever the pilot wants it to go. Likewise, the tongue is a small part of the body, but it makes great boasts. Here in California we are anually aware that raging fires that destroy thousands of acres are started by a small spark. The tongue is a small part of the body but when misused, makes a great spark. It corrupts the whole person, sets the whole course of life on fire and is itself, ignited by the flames of hell. but we struggle to control our own diminutive tongue!! With the tongue we praise God, and with it we curse men, who have been made in God’s likeness. Out of the same mouth come praise and cursing. This should not be! Can you define a busybody…maybe you know one? Do you know what a gossip is? How about a whisperer or slanderer? I Peter 4:15 talks about a busybody who digs up evil reports and then spreads them through gossip, slander or whispering. According to this verse evil reporting is as wicked as murder or stealing! We enjoy listening to evil reports because they exalt us! All evil reports involve false information or are a distortion of facts. They are usually given with wrong motives and cause the hearer to form inaccurate conclusions. One of the major causes of conflict among us is our receiving this information and our wrong response to an evil report. We, then, attempt to resolve the conflict with unscriptural solutions. The Whisperer secretly or privately passes on evil reports to others. “All my enemies whisper together against me. Among Christians, a common example of a whisperer is in the area of prayer requests. sensationalize rumors and partial information and pass it on quickly. 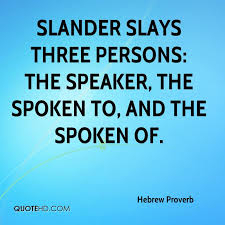 The Slanderer seeks to destroy another’s credibility or reputation with damaging facts, distortions of facts and evil suspicions. In Numbesrs 14:36 the consequence for evil reporting exposes what God thinks about evil reports! These men responsible for spreading that bad report were “struck down and died of a plague before the Lord”!! What is your reason for telling me this? 2. Where did you get this information? 3. Have you spoken to those directly involved? 4. Have you personally checked out all the facts? 5. Can I quote you if I check this out? Spiritualuality is not measured by how well we expose another person for whatever reason, but by how effectively we scripturally seek to see that person restored and made successful. the amount of control you have over your tongue? Posted on March 4, 2019 by Jacqueline Johnson and filed under motherhood, womanhood, spiritual growth and tagged offensive tongues whispered prayer requests busybodies gossiping moms. The jungle had a different face in the morning light. I slipped out of our king-sized plywood bed that was topped with a firm 3” piece of foam rubber and welcomed the possibilities of the day. Two little faces popped up out from under the netting. Both were happy, dry and VERY hungry! I surveyed the barrels all around the open room of our new home…eighteen of them! Which barrel had a cooking pot for oatmeal? No toast…no electricity! I am paralyzed wondering where to begin. But two little rested and hyperactive girls have me well motivated…they are REALLY HUNGRY! Third Barrel: Pots and pans…yeah! But still…no oatmeal! I had heard the women stoking their fires in the very early morning before light. They had already eaten cooking bananas hours before. They were now filing into our house with an understandable curiosity and began pulling everything out of every opened barrel! All I could think was…PLEASE, LORD, LET THEM FIND THE OATMEAL! The Kuna women seemed to have an inexplicable interest in my appearance. Did they think I was a man? I was too tall, too skinny, my hair was too short and I was wearing jeans! I was a nursing mother yet I towered over every living person in the village at 5’8”, except for my 6’ 2” husband. Being the strong, confident woman I am, I took it all in stride…NOT! Would they ever accept someone like me? Clearly…. "culture shock" had set in! While in training for this mission, the instructors (who were seasoned missionaries) introduced us to this phenomenon. I told myself I was not going to be the “weak” one who goes into her village and gives in to her fears…that was for someone else…I hated failure! Ø Furiously tucking in the netting around every inch of your bed…not knowing what is already in there with you…its pitch black after all! Ø Listening all night to the critters scurrying under your bed and in the open ceiling rafters and visualizing the unthinkable! What animals are nocturnal in the rain forest? All of them!!! The dictionary defines Contentment as freedom from care or discomfort! Was I content? What were my expectations? Where was the fruit of my contentment?? What is your level of contentment this morning? Posted on September 3, 2018 by Jacqueline Johnson and filed under Motherhood, Spiritual Growth, womanhood and tagged cultureshock contentment life surreal.